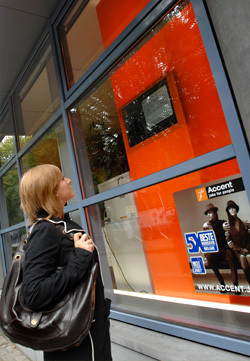 Digital Signage and Advertising : Select Audio & Video Inc. The Next Big Thing -- digital signage is dynamic, compelling and targeted. Whether you call it "digital signage", "narrowcasting", "digital in-store merchandising", or "electronic billboards", it's the fastest growing segment of the digital display industry. Select Audio and Video, Inc. offers a complete line of digital sign solutions. Retail Digital Signage projects are popping up everywhere in the retail landscape... System owners, designers and integrators are excited and gearing up for what should be an ongoing surge in network installations and expansions. In some cases this means entirely new designs and in others it means rethinking screen placements, screen counts and screen sizes.